In 1937, archaeologists in Georgia unearthed a surprise: a dog effigy pot that looked like a Chihuahua. How did Chihuahuas, a native dog of Mexico, get to Georgia? A well rounded “apple dome” skull, with or without molera. Expression – Saucy. Eyes – Full, round, but not protruding, balanced, set well apart… Ears – Large, erect type ears, held more upright when alert, but flaring to the sides at a 45 degree angle when in repose, giving breadth between the ears. Stop – Well defined. When viewed in profile, it forms a near 90 degree angle where muzzle joins skull. Muzzle – Moderately short, slightly pointed. Cheeks and jaws lean…Tail – Moderately long, carried sickle either up or out, or in a loop over the back with tip just touching the back. The Bull Creek dog pot matches this breed standard perfectly. 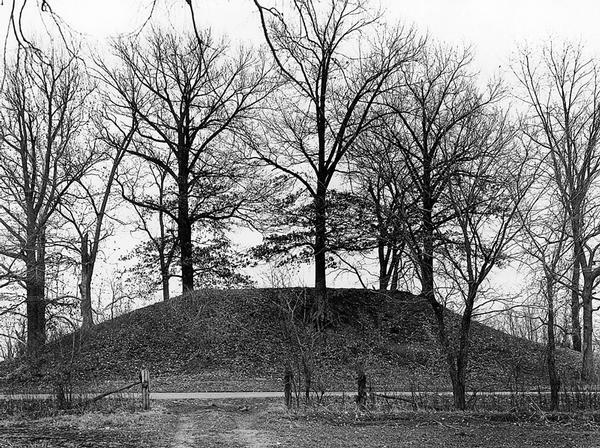 The final report on the Bull Creek site published sixty years later in 1997 noted many other dog pots had been found in Georgia all dating to between 1300-1500 A.D., a time period archaeologists name Late Mississippian. Interestingly, when the first Spanish conquistadors marched through Georgia in the 1500s they described “little dogs” raised by several Native American tribes that were kept very fat. The dogs were apparently used as food for the elites of the tribe. These dogs were also described as being mute. Where Did Georgia’s Chihuahuas Come From? A similar tradition was known from Mexico where the Toltecs and Maya also raised and ate a little dog known as the Techichi which was also mute and kept very fat for this purpose. Dog pots similar to the Bull Creek dog pots have been found in graves in Colima, Mexico dating to 300 B.C. attesting to the long duration of this practice. 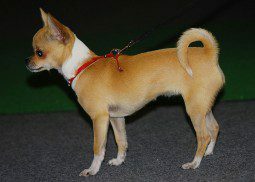 The Chihuahua is believed to be derived from the Techichi. Yet how did Chihuahuas arrive in Georgia from Mexico? Archaeologists in the book “Archaeological Survey in the Lower Mississippi Alluvial Valley, 1940-1947” noted that many of the pottery designs found in the southeast during the Late Mississippian time period are similar or identical to pottery produced at the Casas Grandes site in the state of Chihuahua, Mexico. Coincidentally, this just so happens to be the site where the first modern Chihuahuas were found living among its ruins and is where the breed gets its name. A pot excavated from the site clearly depicts the “deer head” variety of Chihuahua. The “apple head” variety is the type depicted by the Bull Creek dog pots. Around 1340 the site of Casas Grandes was violenty attacked and its inhabitants massacred. The site was a massive seven story tall puebloan-style complex that was the center of a far-flung trade network. The site includes rooms full of cages where scarlet macaws and turkeys were raised. Chihuahuas were likely raised there as well. One room, when excavated, produced over four million seashells from the Pacific coast of California. Apparently seashell jewelry was big business. Yet archaeologists also uncovered slave dungeons where workers processed these seashells and turned them into jewelry. 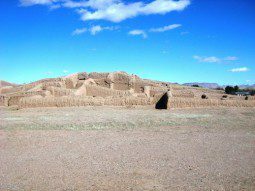 Was Casas Grandes an ancient sweat shop? In 1340, around the same time that the Chihuahua pots arrived in Georgia, the surrounding wall of the village was breached and the first floor timbers were set on fire causing the massive seven-story structure to collapse in on itself. This is reminiscent of another “world trade center” collapsing in on itself after jet fuel weekend its steel supports after being attacked by enemies on September 11, 2001. The more things change, the more they stay the same. The residents of Casas Grandes were also massacred and the religious items from the temples smashed. The macawas and turkeys were left to die in their cages but apparently the Chihuahuas managed to escape and survive. Did survivors from this massacre flee into the woodlands of west Georgia seeking safety? Or were they already there arranging new markets for their trade goods and never returned to Casas Grandes after they heard of its destruction? Whatever the truth may be, the presence of Chihuahua effigy pots and eye-witness accounts of Chihuahuas in Georgia suggest a more complex history than that currently taught in history books. One of the Bull Creek dog effigy pots is currently on display in Columbus, Georgia at the Columbus Museum of Arts & Sciences. You can find me on Facebook, watch my LostWorldsTV YouTube channel, or subscribe to my newsletter. 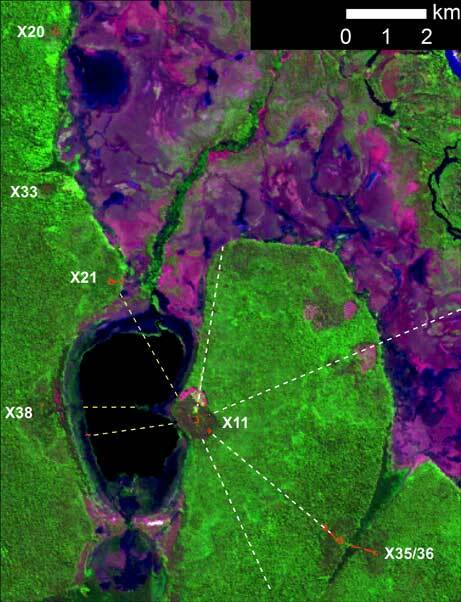 ← Ancient Chihuahuas Once Roamed, and Eaten, in Southeastern U.S.?